Teams must utilise all their project planning and teamwork skills to successfully plan to rob a bank! All aspects of project planning are covered in this fun and stimulating activity. 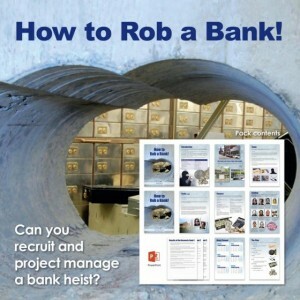 Teams must mastermind a bank robbery, recruiting the appropriate staff, purchasing the right equipment and ensuring it arrives on time. 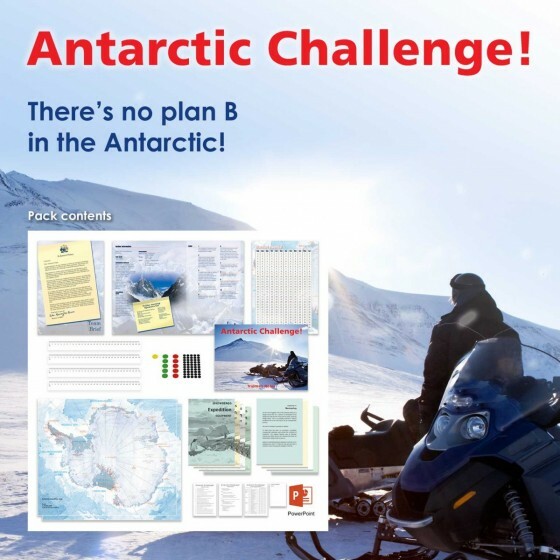 At the start of the activity teams have already commissioned research on three likely banks. Armed with a diary teams decide on which bank to go for and then plan their heist. They have already recruited a getaway driver, but they need a base from which to work from and to practise with the equipment before the robbery. A certain Mr Big will bankroll the project but he'll want his money back plus a cut of the loot. So, teams have to calculate all the costs and come up with a profitable, viable plan. Obviously there are risks and these need to be identified and assessed. Faced with a rather unscrupulous looking set of mugshots, teams must pick the three robbers who will carry out the robbery itself. They also need to employ a 'fence' to get rid of the loot and launder the proceeds. And finally, the need to work out how the money will be distributed once all costs have been taken into account, remembering that there is no honour among thieves. 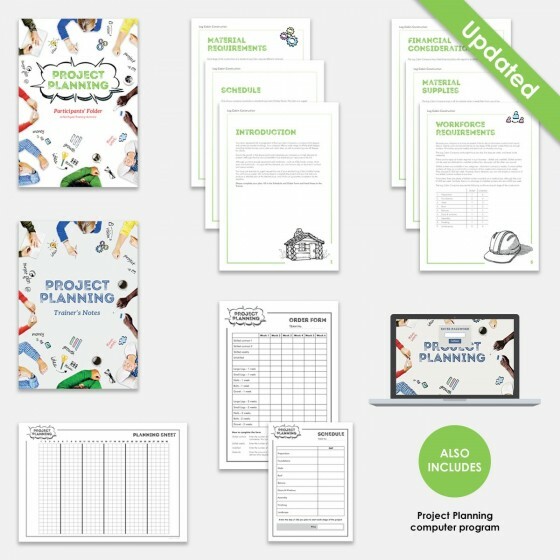 Teams have a Planning Sheet enabling them to identify the main parts of the plan: General outline; Start dates; Working capital; Payouts; Profit; Risk Analysis; Single major concern. Teams work on presentations to a local anonymous specialist (the Trainer!) who will decide if their plan is viable or not. Introduce the activity with the PowerPoint or verbally. Divide the group into teams. 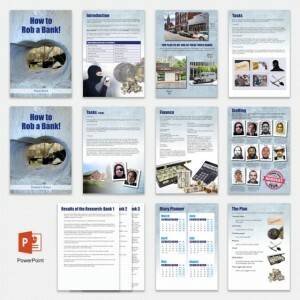 Issue each team with a How to Rob a Bank folder. 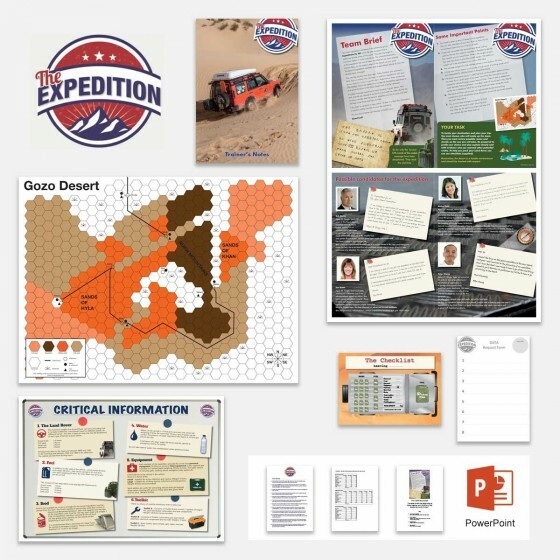 The folder gives all the necessary details that teams need in order to begin their planning. Observe teams at work and make notes for the Debrief. Have they understood the instructions; have they begun work on a schedule? Is someone doing the costings? Are they working well as an integrated team? Are they on schedule? If appropriate, allow teams time to prepare a flipchart presentation of their planning. Hear the presentations and check their Planning Sheets. Conduct the Debrief. Ask teams to review how they worked together and what the key lessons they learned were. Summarise the learning and relate to the key stages of project planning. Northgate's How to Rob a Bank! activity exceeded all of my expectations! We had a fabulous time and it did far more than I expected. I needed a learning exercise to test teams' leadership, motivational skills, analytical thinking, problem-solving, decision-making and their ability to work as a team and this activity ticked all the boxes! 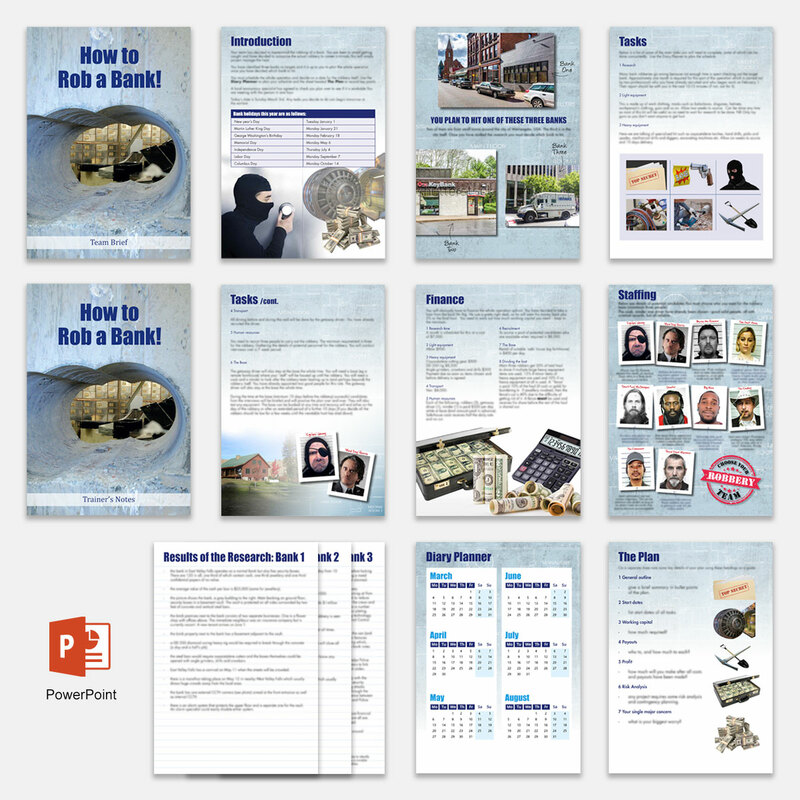 How to Rob a Bank! is a great activity! It gave valuable insights into the workings of a team and is especially relevant for dealing with complex tasks against a tight deadline. We will be using it again! NEW EDITION! Apply basic project planning principles to the construction of a log cabin within a tight deadline and within a tight budget!